Montreal Bathhouse Shut Down For Condos. They are springing up in urban centers all over the world. With all that new construction, something has got to go. Usually that has been are historic buildings or businesses with long history. Case in point Montreal bathhouse historic Le 456 Sauna has closed its doors after 33 years to make way for a new condo. But this story has a happy ending. The sauna has been invited by the condo’s owners to open a new sauna inside the brand new condo! “The sauna was still very nice inside,” says Le 456 Sauna owner Dany Rathé. The bathhouse (called “saunas” in Quebec) boasted a pool, gym, steamroom and jacuzzi with 74 smaller rooms and 7 double rooms over two floors. It could accommodate 200 customers at any given time. This is the only video ever shot on the 2nd and 3rd floors of Le 456 bath house in Montreal. 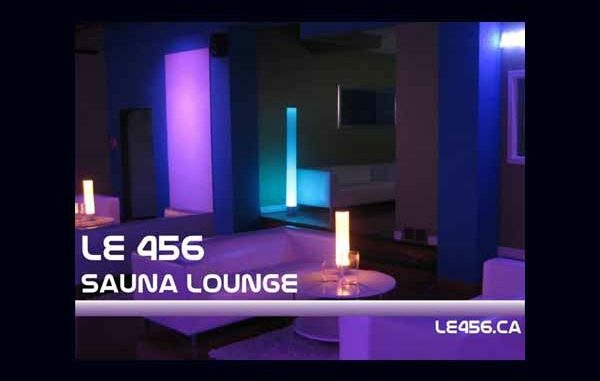 Montreal’s famed Le 456 Sauna downtown – open around-the-clock since 1979, with some of their regular customers dating back over a quarter-century – has closed its doors to make way for a new 14-storey condominium building. The historic bathhouse was among the city’s oldest gay-run businesses. Le 456 Sauna opened in 1979. Located at 456 de la Gauchetiere Montreal Quebec Canada.